The ghost of a pretty sixteen year old is still sometimes seen waiting for her lover at the ancient river crossing of Callin's Bridge. The unfortunate girl had found herself part of a local witches coven before her sweetheart had shown her the error of her ways. He was a Royalist soldier away fighting in the Civil War. Just before he arrived home, a vengeful Roundhead smashed up the poor girl’s house and, finding her alone on the bridge, raped and murdered her. Her spirit is thought to lead watchers to the graves of many more of her murderer’s victims. 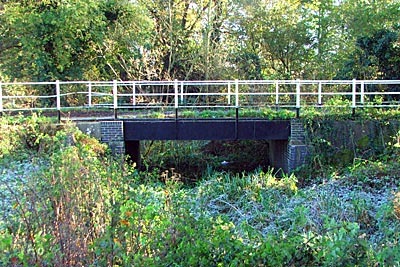 Just below the bridge are the remains of an old moat, all that remains of the original Beenham’s Farm. This was the home of Ralph Newbery who, followed by several members of the family, travelled to London and became a famous publisher way back in the 16th century. His descendent, John Newbery, is particularly noted for being the first ever publisher of children’s books. See also Waltham St. Lawrence.